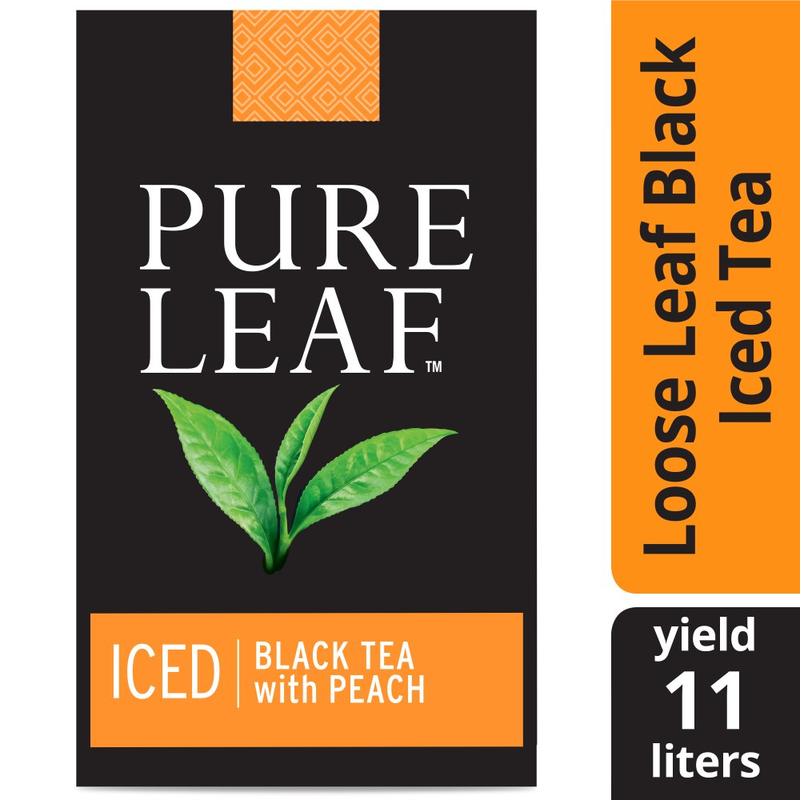 Made with premium long leaf tea, Pure Leaf Loose Iced Black with Peach Tea makes a crisp and refreshing cold beverage your guests will appreciate. Ideal for restaurants and cafés, this iced tea features high grown Kenyan black tea leaves combined with a medley of real fruit pieces for a well-rounded and full-bodied peach iced tea. All Pure Leaf tea is sourced from Rainforest Alliance Certified tea estates around the world. The black tea leaves are simply picked, rolled, and crafted for an exceptional flavor that will please any tea lover. This bulk iced tea case includes enough loose tea to make twenty-four 3-gallon batches of iced black peach tea, making it a great choice for commercial use.